So I’m getting this spiral effect, I’m not sure if undesirable. I’m going to fix it so that each itteration has its own confined parameters, but I also kind of like it. Tell me what you think. Actually, evertime I saw things like that most people said, this isn´t that good. But I can´t confirm that for sure, as I don´t have a clue of facial animation. Spirals aren’t bad in themselves, they just make it harder/slower to pick a particular edgeloop for editing. Some people hate that, I don’t mind so much. But I think you don’t have enough topology there, you need at least two rows of edges close to each other to create the upper eyelid crease. Also below the eye, the crease that forms there when smiling etc. On some people those 2 creases can join in a circle, but on most people it’s a broken circle especially at the outer eye corner, with creases continuing out towards the ears. Study older people to see how the creases run. However, you do need a couple full loops for the edges of the lids, just like around the lips. That just makes everything so much easier, editing, texture painting, etc. Thank you for the comment Steven. I posted that model on 2 separate threads and got no feedback. But one comment from you is all I need. first time I contribute something to this thread. Would like to here some comments on the loopflow, and what to improve. Topology looks ok, frontview looks ok. Sideview: the top of the skull, from the eyebrows up, is pushed too far forward. Thx, heard this already from other people, and fixed it. Hi, there! 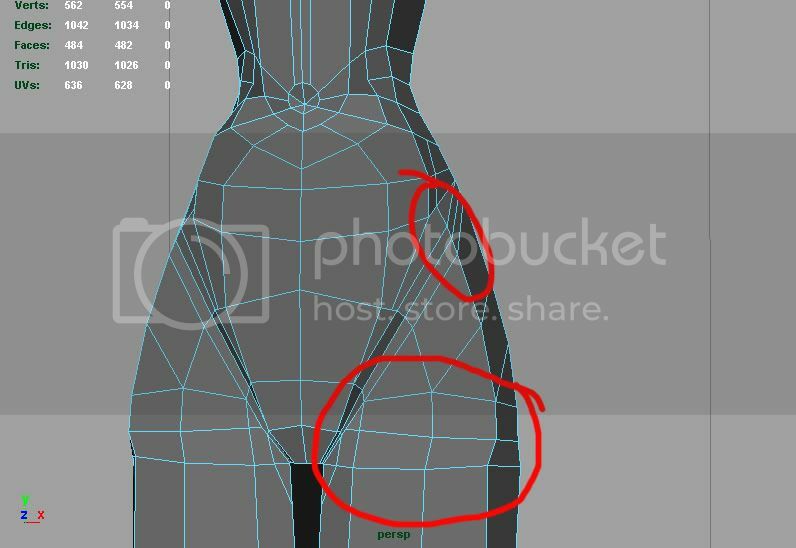 I’m firs time on CGS, but already get a lot of usefull information about character modeling. 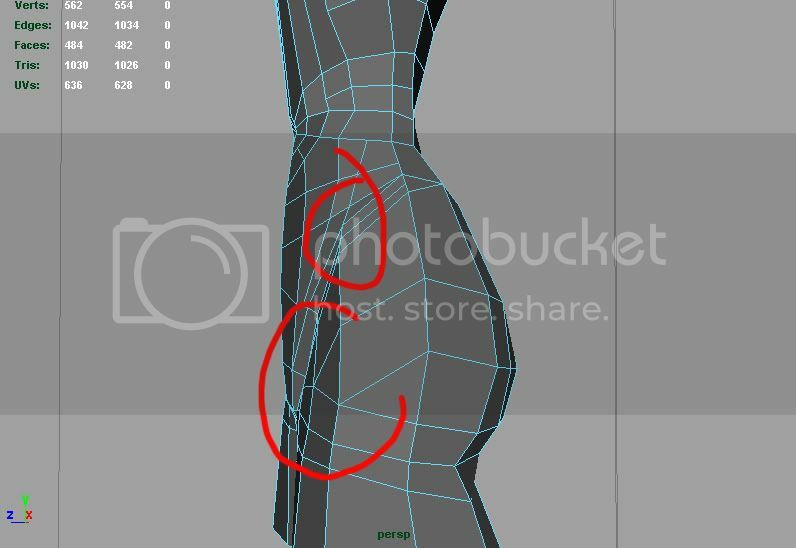 Hi, so this is my first attempt at good topology on a character model. Now I’ve got dozens of pictures of good topology (mostly from this thread). However, they only help so much. The circled areas are driving me vaguely nuts. I can’t figure out the direction of the loops. I’m trying to go the quads route since this is really my first time doing this. So can anyone perhaps give me some pointers on where I’m trying to send the loops. I want ot diligently follow this thread. After I finish reading 160 odd pages (hehehe), I’ll try posting my own stuff. Arkideit, your topology looks quite ok it’s just that next time you can try to reach the same effect with some fewer polygons… with slightly lower resolution overall. Try to keep some areas a bit more ‘open’, like McGee. Then you can use either Smooth-Proxy technique, or Subdivided surfaces, to smooth it out for render time. McGee, to a certain extent you have the opposite problem of Arkideit - it’s a little too low res in some places, and too high res in others, which usually produces sharp creases where you don’t want them. Try to divide the polys a bit more homogenously, like Arkideit. Then again I recommend Smooth-Proxy or Subdivided surfaces. The advantage for you is that then you don’t have to worry about keeping it quads, the first subdivision takes care of that. It’s in fact better sometimes for beginners not to have to worry too much about quadness at first, as it can be just one obstacle too many, during a difficult stage. Technical issues only serve to stand in the way of progress. I’m allways amazed by the quality of the work submitted here. I learned a lot just by following some threads and studying the wireframes. Recently I got some spare time and started working on new project. 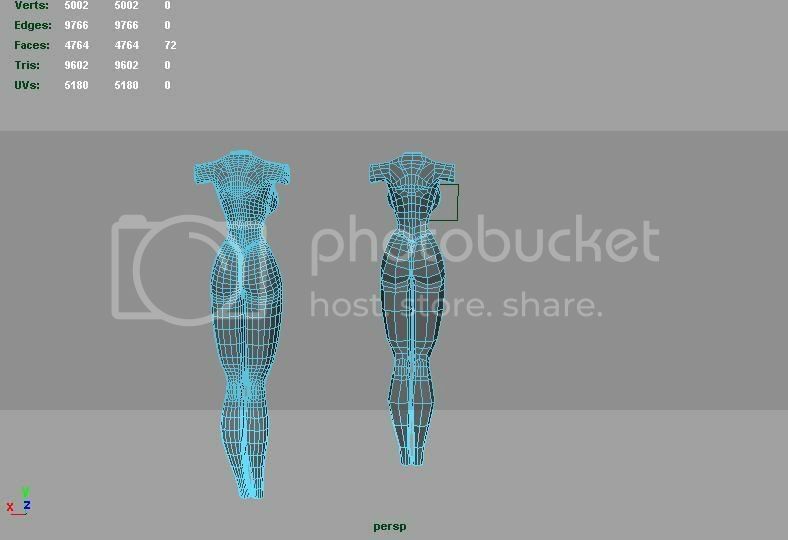 I’m trying to make a woman’s body and eventualy create a nice image with it. But for now I’m just concerned about the modeling. 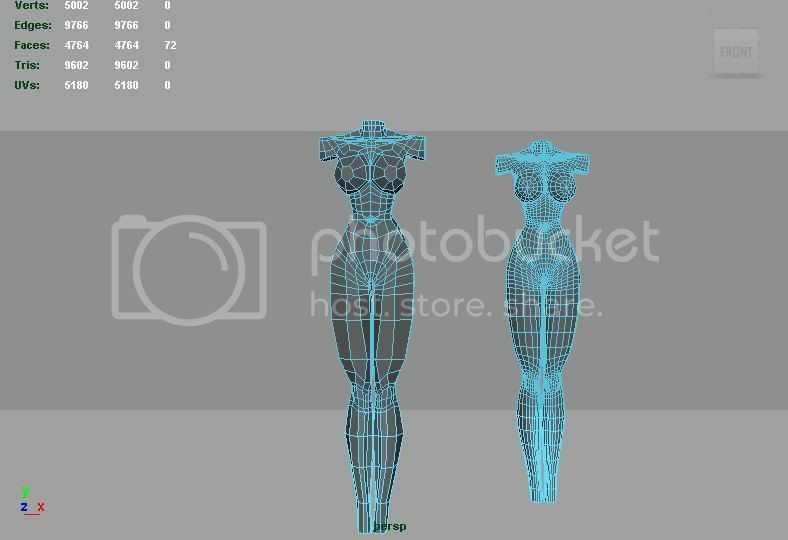 I just finished modeling the head, but before I continue with the rest of the body I’d like some feedback and comments about how the head turned out and any ideas of how I can improve the shape of the model. I am modeling a cat for a new project and am having a tough time with the topology, i went through this thread and tried to figure it out. Just have a look at the photos and let me know if anything is wrong or anything i can do to improve it. I am mostly having problems with the foot area. @ HerbertC: I think you have too much detail coming into the nose. I think that a reduction in the number of quads will smooth the nose nicely into the face. Also the back of the head needs to extend further back. 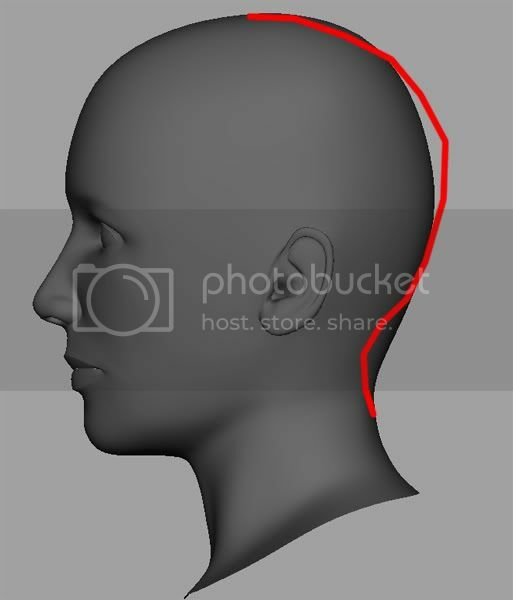 As well the back of the neck should connect with the back of the head at the same level as the lower part of the ear. 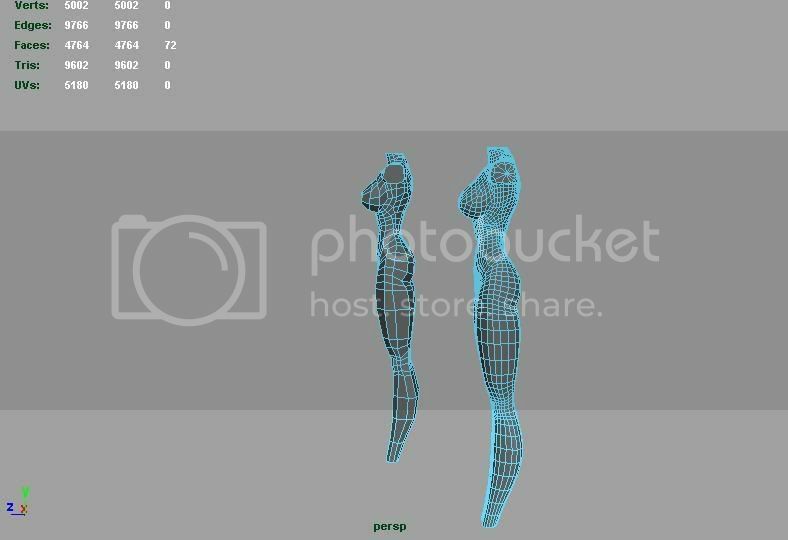 @blade84: I don’t think I know enough to find something wrong with your model or topology.